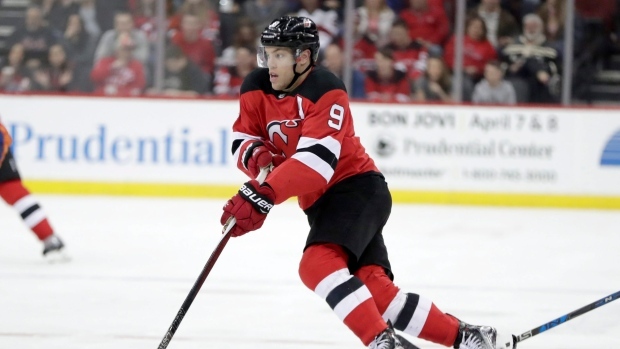 The New Jersey Devils aren’t planning to waste any time in opening extension talks with star winger Taylor Hall. Devils general manager Ray Shero told the NHL Executive Suite podcast that the team will begin negotiations with Hall, who can't sign a new contract until July 1, once the season ends. “He’s been incredible for our franchise. Obviously him not being in our lineup has hurt. I think we’ve been really good for him. It’s been over three years, and last year (winning MVP),” Shero said. "He’s been something for our franchise that we really haven’t had in a long time. But our intention is to really sit down with him and try to see if he feels the same way. But again, at the end of the day, we still have another year left. Hall, who won the Hart Trophy last season, has been out since Dec. 23 with a lower-body injury. He underwent arthroscopic surgery on his left knee in late February and Shero told the podcast he would only play again this year if he's 100 per cent. Prior to the injury, Hall had 11 goals and 26 assists for 37 points, which remains fourth on the team despite having played only 33 games. Hall led the Devils last season with 39 goals and 54 helpers. The 27-year-old is signed through next season at a $6 million cap hit on the seven-year deal he signed with the Edmonton Oilers in 2012. The Devils, who have eight games remaining in their season, sit last in the Metropolitan Division with 63 points in 74 games.